Evans spent the first half of the race glued to the back of Andre Lotterer and although Stoffel Vandoorne stayed reasonably close, it soon became clear it was going to be a one-on-one between the front two. It would also come down to who could manage their two usages of Attack Mode - an off-line section of the track drivers can go through to get a temporary power boost - the best. Evans looked the quicker of the two but couldn’t make a move under normal conditions so became the first to go for Attack Mode. It paid off handsomely but Lotterer didn’t make it easy - after successfully defending the obvious overtaking spots he went slightly deep into Turn 10, allowing Evans a run into the next chicane. 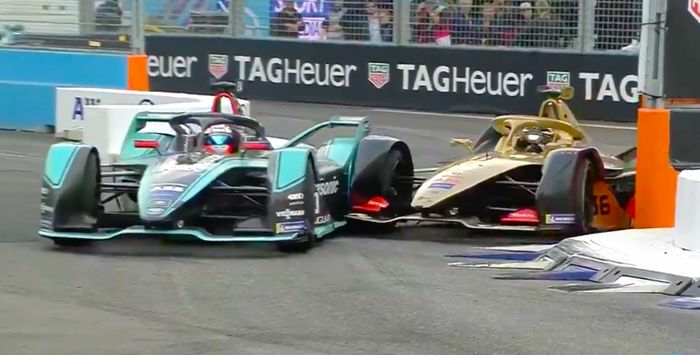 That’s not usually an overtaking place but somehow the Jaguar man found a bit of room and snuck ahead, leaving Lotterer just enough room in what turned out to be an awesome move. Lotterer then used his first Attack Mode, couldn’t pass, and then immediately used his second. Evans tried to use his final one but missed the activation, throwing Lotterer another advantage. 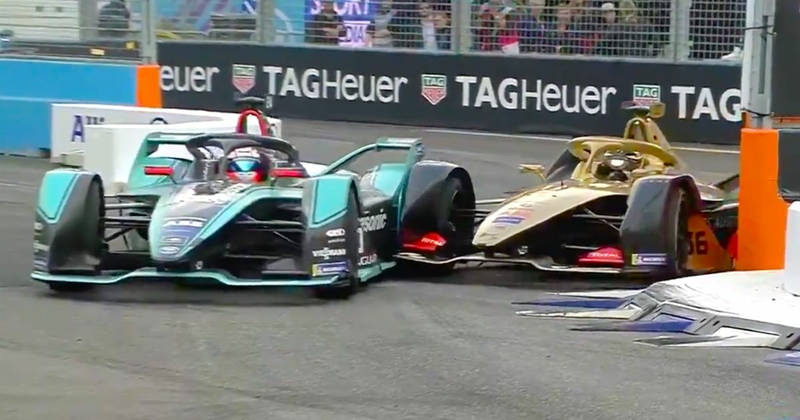 He nailed it the second time, though, just stayed ahead, and then was just about able to manage the gap to the end and claim his - and Jaguar’s - first Formula E win. Former McLaren F1 driver Vandoorne took his first podium in third, with Robin Frijns fourth, Sebastien Buemi fifth and Oliver Rowland sixth. Jean-Eric Vergne had finished seventh but was given a post-race penalty for overtaking during a full-course yellow, dropping him out of the points.